Faris Hadziq/SOPA Images/LightRocket via Getty ImagesMalaysia flag seen on the top of Palace of Justice building in Kuala Lumpur. Malaysia this week ignored China’s requests to deport 11 members of the Muslim ethnic minority to China. The southeast Asian country sent them to Turkey instead. Beijing on Friday said “we resolutely oppose” that decision. Malaysia’s decision made it the second Muslim ally of China to criticise Beijing’s repression of the Uighur minority. The Malaysian prime minister has stood up to China in the past. Last month he cancelled $US22 billion worth of China-backed projects in his country, saying “we don’t need” them. Malaysia defied China in its attempts to persecute its Uighur Muslim ethnic minority, and Beijing is furious. The Muslim-majority, southeast Asian country on Thursday freed from detention 11 Uighurs whom Beijing requested to be extradited to China, and sent them to Turkey instead, Reuters reported on Thursday, citing the unnamed Uighurs’ lawyer. China subjects Uighurs to one of the most brutal and intrusive surveillance measures in the world, which include being on a registry of DNA samples and blood types, and tracked by some 40,000 facial recognition cameras across the western Chinese region of Xinjiang, where 11 million Uighurs live. Kevin Frayer/GettyUighurs are subject to some of the most intrusive surveillance in China. 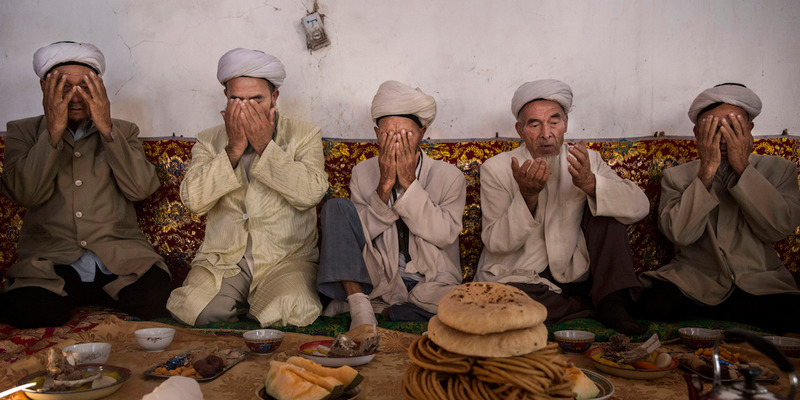 Here, Uighur men pray before a holiday meal in Turpan, Xinjiang, in 2016. Last month Pakistan warned that Beijing’s regulation of Uighur activity fuels extremism rather than counter terrorism, directly challenging China’s justification of its Uighur crackdown – which is that it is discouraging people from religious extremism and terrorism. Leaders of the Muslim world had been deafeningly silent as more and more reports of China’s repression of Uighurs emerged over the past year, although hundreds of people across Pakistan, Bangladesh, and Kazakhstan have been protesting. Experts told Business Insider that the Muslim leaders’ silence are likely due to their reluctance to jeopardize economic relationships or to expose human rights abuses in their own countries. Kevin Frayer/Getty ImagesMany Muslim world leaders have stayed silent over China’s Uighur issue. 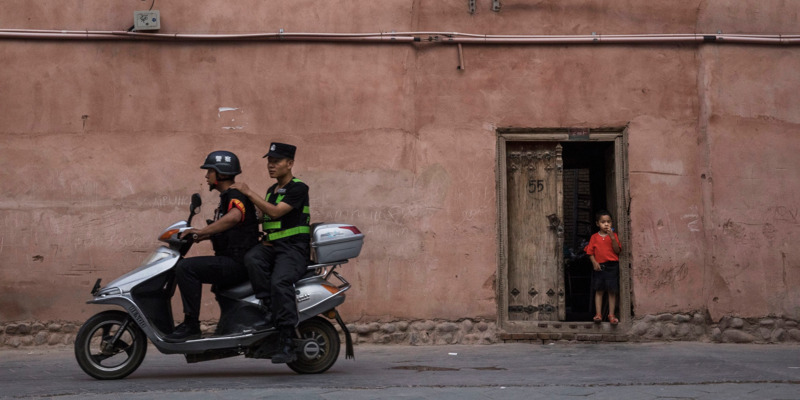 Police patrol as a Uighur boy stands in his doorway in Kashgar, Xinjiang, in 2017. The 11 Uighurs were detained in Malaysia earlier this year after breaking out of a jail in Thailand, near the Malaysian border, last November. The prison break involved the inmates digging holes in cell walls and using blankets as ladders to climb over the jail’s barbed wire, the BBC reported at the time. They had been among more than 200 Uighurs who were detained in Thailand in 2014. Many Uighurs flee to southeast Asia seeking to flee to Turkey, a Muslim-majority nation. Although the people in the group identified themselves as Turkish citizens and asked to be sent to Turkey, more than 100 of them were forcibly returned to China in 2015, Reuters reported. Beijing in February exerted great pressure on Kuala Lumpur to deport the men from Malaysia back to China, Reuters reported at the time. 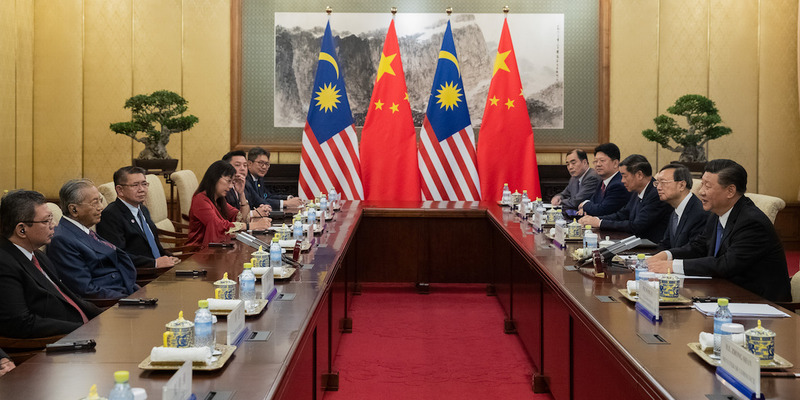 Tensions between Kuala Lumpur and Beijing surfaced after the election of Mahathir Mohamad as Malaysian prime minister. Mahathir canceled $US22 billion worth of Chinese-funded infrastructure projects in his country last month to avoid an increasing national debt and because “we don’t need” them. The rail link and gas pipeline ventures had been part of China’s Belt and Road Initiative (BRI), a massive project to link China to more than 70 countries around the world via infrastructure projects. Beijign has already invested between $US1 trillion and $US8 trillion in those projects, according to the Center for Strategic and International Studies. The BRI is one of President Xi’s pet projects. The project cancellations also came as Mahathir suggested that the BRI was “a new version of colonialism,” according to the Financial Times. 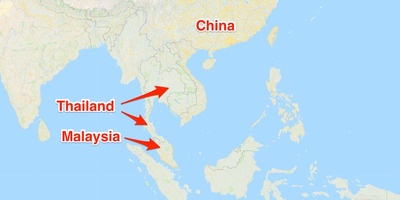 The Malaysian prime minister did say, however, that China’s leadership “understood the situation and accepted” his decision, adding according to Malaysia’s New Straits Times newspaper: “I don’t think China wants us to be bankrupt. Roman Pilipey – Pool/GettyMalaysian Prime Minister Mahathir Mohamad, second left, and Chinese President Xi Jinping at a meeting in Beijing in August 2018. China has tried to keep a tight hold on Uighurs even if they were no longer in China. 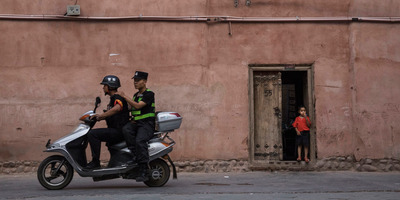 Beijing appears to be creating a global registry of the Uighur diaspora, with multiple members reporting threats made directly to them or their relatives in China if they did not give up personal information such as licence plate numbers and bank details. Dozens of Uighurs have been deported from foreign countries to China in the past. Egypt, one of China’s economic partners, deported at least 12 Uighurs back to China last summer, with at least 22 more detained for no reason, according to The New York Times. Malaysia has also sent detained Uighurs to China in the past, Reuters said. Last month Business Insider reported that Abudulijiji Supi, a Chinese Uighur living in the United Arab Emirates, was arrested for no apparent reason and risks being deported to China. His family believes he will be imprisoned in a detention center or re-education camp if he is sent there. Activists have accused China of detaining 1 million Uighurs in detention centres or re-education centres, where detainees are shackled to chairs, beaten up, and forced to sing patriotic songs about Chinese President Xi Jinping to get food, according to witnesses and former detainees. Earlier this week authorities in Xinjiang revised local laws to encourage “re-education institutions” to help “those affected by extremism,” despite Beijing’s previous denials that such camps did not exist.